By toe_head2001, August 25, 2015 in Plugins - Publishing ONLY! Used to repeat text to create word images. If you do not intend to repeat the text, please use the Text tool as seen below. Added: Russian translation by @ReMake is now included. Changed: The Font dropdown now defaults to the Arial font, rather than the first one in the list. Changed: Unusable font are no longer listed in the UI, thus eliminating the "Font Error" messages. I downloaded it and I hope I'll find a use for it. Thanks for the source and the icon, toe_head! EDIT: those interested can find Text Window v1.2 for Paint.NET 3.5.11 in post 21 further below. BoltBait's Outline Object would give a much better result in this case. Plus you don't need to make a selection before running it. Yes, I know, but I decided to leave things as they are because I was in a moment when I was testing both new plugins. Since I plan to go on using this, I'll also make further tests with the other outlining plugins. a photoshop like effect very handy. you can then apply other effects (outline, drop shadow... without select). A feature that fills a gap, should be native! I found a small problem. as the result he gets the endless canceling process. This is because the message box is not a child window of the UI. For exit from this process, the user must click on Font Error in the Quick Launch bar and then click OK on the message box. Yes, it really solves a problem. BoltBait, thank You for this elegant solution. I do not know if it is possible but an option to control the space between the lines would be nice. Perhaps a rotation option as well. I found a small problem. If the user gets an error message and accidentally presses the Cancel button on the user interface -as the result he gets the endless canceling process. This is because the message box is not a child window of the UI. 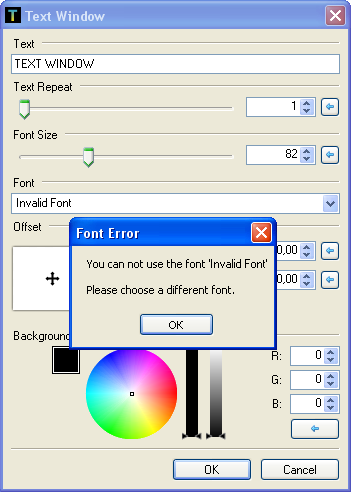 For exit from this process, the user must click on Font Error in the Quick Launch bar and then click OK on the message box. Thanks guys. I'll include that in a new build later today. Both should be possible. I'll work on this later today. Yeah, I think I like better. The render thread is no place for a messagebox. Ok, I've looked into both of these. Line Height: This can be done in .Net, but the only method I found was not very elegant, as it had to be calculated manually. I'm not sure I want to add it. Rotation: There are a few different ways to do it, depending on what you want. Thoughts? I could use the old Pythagorean theorem on the selection rectangle, and use the result as the height and width of my text rectangle. That way it would be large enough that there would be no transparent corners when rotated. I have not tried this yet, but I think it could work. Well, I know BoltBait does not like counting/calculating manually so it must not be recommended. For the rotation option, I like the second approach. Independently of font size, I wonder if a"zoom" would help fill the rectangle. Post edit: Does the effect "Text+" use the same method for Line Space? Does the effect "Text+" use the same method for Line Space? dpy never posted his source code for that, so can't say for sure. However, I suspect he did, or some variation of it. I don't like how Line Spacing was implemented in Text+ though. You have to set it to a fix amount, and that doesn't work well when you change the font size. It gives you 100% of control, but at the cost automation. I prefer how word processors do it: scale. Line spacing of 1.00x, 1.15x, 1.50x, 2.00x, ect. That way it can work with whichever font size. V1.1 bugfix release. See first post. @Eli I tried a few approaches to rotation, but none of them worked in a way that would give a good user-experience. Sorry. I only just noticed this Plugin - it's really neat - thanks . Version v1.2 posted. See first post for change log. Oooohhhhh, this is very interesting plugin. Many possibilities are dancing in my head. 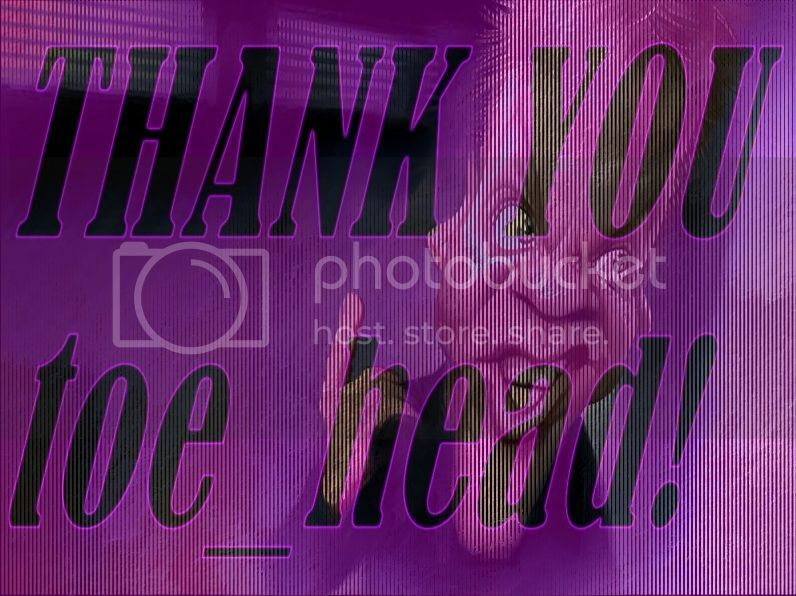 Thank you, toe_head2001! I've been liking the plugins you've been creating. Please update post #3 (i.e. remove the earlier version). Thanks. How do I actually download it?? Just wondering coz its my first plugin off this page.